Vincent R. Vlk, CISA graduated from Miami University in Oxford, Ohio with a Bachelors of Science in Business, majoring in Accounting and Finance, with a heavy concentration in statistics. During the second semester of his junior year, he participated in an accounting internship with Ernst & Whinney (E&W) in Cleveland, where he subsequently accepted a full-time position. At E&W, Vince's first assignment was the Bell & Beckwith Audit and Asset Liquidation which in 1983 was the largest brokerage fraud case in SEC history. His financial audit assignments, which involved performing interim and year-end audit procedures, included the areas of Insurance (Progressive), Health Care (Cleveland Clinic, Metro General Hospital, Lake Hospital, and Sunny Acres Skilled Nursing Facility), Colleges & Universities (Case Western Reserve University, and Dyke College), and Banks (National City Bank, and Ameritrust). Vince made the choice to participate in E&W's extensive Computer Audit training program and, as such, conducted general controls reviews and performed computer audit programming using E&W's in-house software. In 1987, Vince accepted an EDP (IT) Audit Analyst position at Progressive Insurance. Over the next 18 years, he progressed into many other positions in various divisions including Internal Auditor, Senior Financial Analyst, Assistant Product Manager, Accounting Manager, Business Analyst, and Senior Programmer/Analyst IV. While at Progressive, Vince became proficient with SAS programming, using it to greatly reduce manual efforts for account reconciliations, automate monthly general ledger entries, eliminate daily user involvement in capturing critical business data, perform extensive computer auditing of on-line and batch applications, in addition to providing many user-requested custom reports. Vince directed user requirements for a new, cost-effective, PC-based premium accounting system for Progressive's Financial Services division. He conducted data center control reviews of division mini-computers (IBM AS400 & DEC VAX); physical and on-line (TOP SECRET) security reviews; and programming controls reviews. 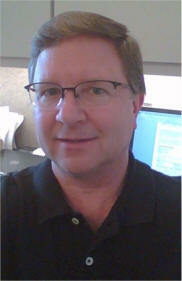 Vince performed operational audits for remote insurance centers, testing state compliance and policy issuance controls. In 1997, Vince started V-MAN Computer Services on a part-time basis, slowly building it, gradually devoting more and more time to it by changing his employment status at Progressive from full-time to part-time. He made it a full-time venture in April 2005. V-MAN's initial services were all related to website development, however, Vince quickly found the greatest business need for his clients was technical support for computer hardware, software, and networks. Although V-MAN's specialty is dental office computer environments, Vince has provided services to clients in manufacturing, sales, retail, financial advising, accounting, consulting, real estate, and non-profit. In 2007, V-MAN helped successfully plan and implement the entire IT infrastructure for a start-up company, Deck Services, LLC. From 2005 to 2012, Vince provided on-going ad-hoc SAS programming support to Progressive as a contractor. V-MAN has had an on-going working relationship with the Aurora Group performing IT auditing and providing specialized technical support. Since 2010, Vince has annually assisted Forest City Realty Trust's (formerly Forest City Enterprises) Internal Audit department with performing SOX 404 IT auditing. The scope of this work has included audit planning, control design evaluation, and testing of general and application controls. Vince is proud to be a Certified Information Systems Auditor (CISA) since 1999. He also has been a CompTIA A+ Certified Professional (Computer Hardware and Operating Systems) since 2003. · Excellent Written and Verbal Communicator. · Easily Establishes Positive, Productive, Long-Term Work Relationships. · Proven Aptitude for Quick Learning and Retained Comprehension. · Ambitious, Persistent, and Independently-Driven. · Organized and Focused on Logical, Process, Control Approaches to Solving Issues. · Insightful, Creative, Artistic, and Resourceful. · Likeable, Trusted, and Respected. · Adapter of new innovations of the ongoing, changing technical landscape.